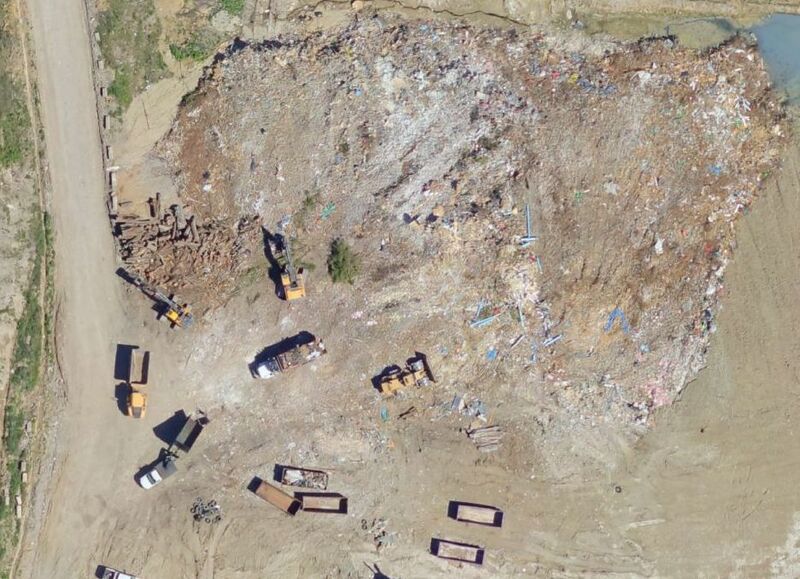 Aerial photographs are an essential tool to the waste management professional, because they provide an accurate, visual representation of your disposal site. Aerial photographs illustrate your proposed site’s geology, soils, vegetation, and drainage. They show ponds and intermittent stream beds that maps may miss. Aero-Data offers both current and historical aerial photos for use in your environmental impact studies. 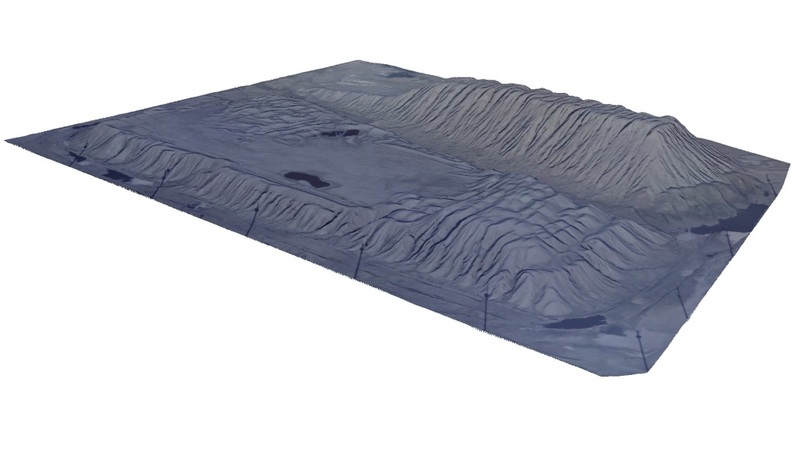 We can produce 3-D visualization models of your proposed site to flag areas where stormwater runoff may be difficult to divert from waste areas and areas where erosion is likely to occur. True orthophoto produced from aerial sensor and terrain model (Aero-Data). Aero-Data has an extensive historical aerial photo collection. Our historical photos can be used to delineate the boundaries and document past land use at former landfill sites, which is a necessity when planning the reactivation of these sites. We can also determine how much the landfill has settled over time. 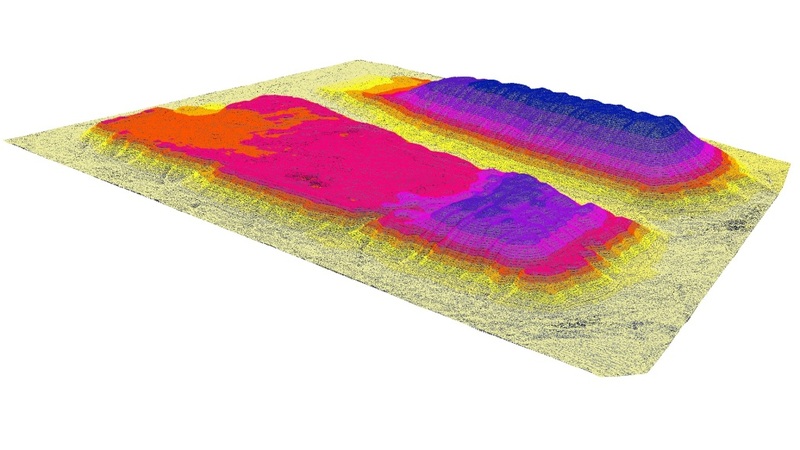 Terrain model produced from aerial photo mission (Aero-Data). Aero-Data’s offers high resolution, quick turnaround custom aerial surveys and mapping services to assist you in site planning and improvements. To document all stages of landfill cell construction (excavation, liner installation, filling and capping). To monitor the growth of cover vegetation. To assess remote or potentially hazardous terrain. Our mapping services include the mapping of surface features and drainage, the creation of contour maps and elevation models, and volumetric calculations of waste piles. We can also create models of hypothetical scenarios of different fill rates. 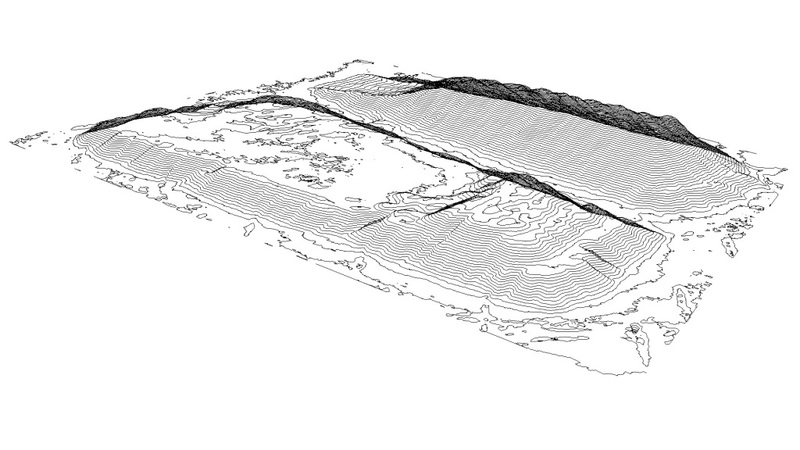 1 ft contour map auto-generated from terrain model (Aero-Data). Please contact us at 225.767.5725 or contact@aero-data.com for a quote. If you would like more information about our aerial surveys, click here.